Stunning scenery and wildlife abound in this expedition cruise along the western Antarctic Peninsula. Our basecamp vessel, the rugged though comfortable M/V Plancius or M/V Ortelius, will navigate us alongside a mountainous and glacial landscape where we will have the opportunity to see gentoo and chinstrap penguins, Weddell and crabeater seals, wandering albatross and perhaps even humpback and minke whales. Looking for more adventure? Step aboard a zodiac cruise to see crisp icebergs and deep-cut fjords up close, go for a hike or kayak along the coast, or be the first of your friends to set up camp on "The White Continent." Grab your camera and welcome aboard. This afternoon, make your way to the port and board the ship. We embark from Ushuaia, Tierra del Fuego, Argentina, the southernmost city in the world located at the Beagle Channel and sail through this scenic waterway for the rest of the evening. *** Please note that we strongly recommend you fly into Ushuaia the day before your expedition and overnight. There are a number of hotels to choose from. At sea - During these two days we sail across the Drake Passage. When we cross the Antarctic Convergence, we arrive in the circum-Antarctic up welling zone. In this area we may see Wandering Albatrosses, Grey Headed Albatrosses, Black- browed Albatrosses, Light- mantled Sooty Albatrosses, Cape Pigeons, Southern Fulmars, Wilson’s Storm Petrels, Blue Petrels and Antarctic Petrels. Near the South Shetland Islands, we spot our first icebergs. We continue our way to the Antarctic Peninsula, keeping a sharp lookout for pelagic birds and whales. En-route, you'll enjoy a series of lectures from the guide staff regarding the continent's wildlife, geology, climate, and more. We will sail directly to “High Antarctica”, passing the Melchior islands and the Schollaert Channel between Brabant and Anvers Island. On Cuverville Island, a small precipitous island, nestled between the mountains of the Antarctic Peninsula and Danco Island, we will find a large colony of Gentoo Penguins and breeding pairs of Brown Skuas. If we land on Danco Island we can observe Chinstrap Penguins and possibly Weddell and Crabeater Seals. In Neko Harbour we will have the opportunity to set foot on the Antarctic Continent in a magnificent landscape of huge glacier and enjoy the landscape during zodiac cruises. When sailing to Paradise Bay, with its myriad icebergs and deep cut fjords, we will have the opportunity for zodiac cruising between the icebergs in the inner parts of the fjords. In this area we have good chances to see Humpback Whales and Minke Whales. After sailing through the Neumayer Channel, we hope to get permission to visit the British research station and post office Port Lockroy on Goudier Island. Close to Port Lockroy we may also offer a landing on Jougla Point with Gentoo Penguins and Imperial Shags. We sail through the spectacular Lemaire Channel to Pleneau and Petermann Island where we can find Adelie Penguins and Blue-eyed Shags. In this area, there are good chances to encounter Humpback Whales, Minke Whales and Fin Whales. 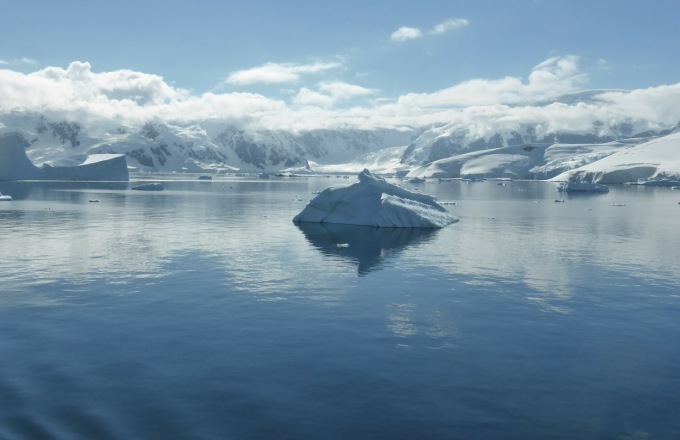 A visit to one of the scientific stations in Antarctica will give you an insight about the life of modern Antarcticans working on the White Continent. Further south we may visit the Ukrainian Vernadsky Station, where we will receive a warm welcome from the station crew. Sailing north through Neumayer Channel we arrive at the Melchior Islands with a very beautiful landscape with icebergs, where we may encounter Leopard Seals, Crabeater Seals and whales. Further exploration of the Antarctic Peninsula - please see Day 4. On our way north, we are again followed by a great selection of seabirds while crossing the Drake Passage.